A severe infestation of <IT>Lygodium microphyllum</IT> (Cav.) R. Br. located at Jonathan Dickinson State Park, Martin County, Florida, USA. A native of the Old World tropics, <IT>L. 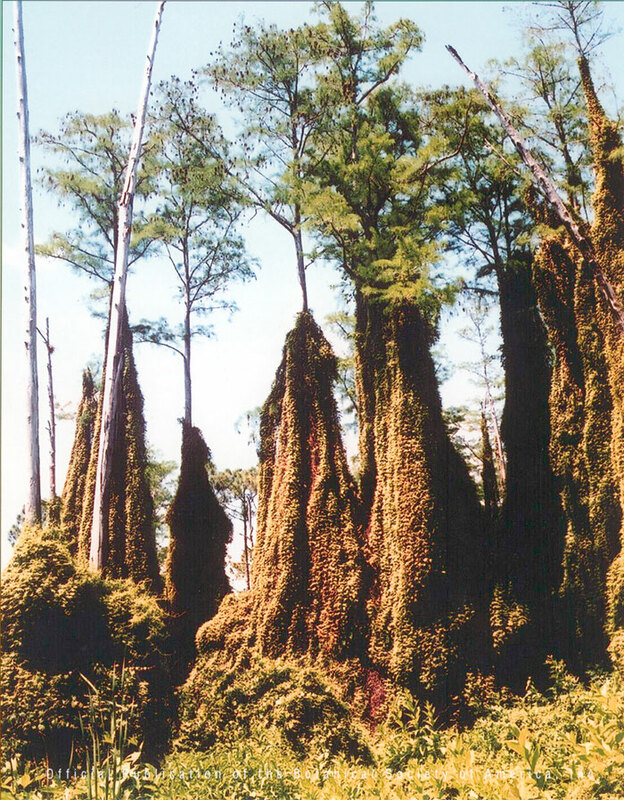 microphyllum</IT> has become a serious pest in the forested wetlands of South Florida since naturalizing in the 1960s. Within severe infestations, this vine-like fern can smother both the understory and canopy, disrupting the recruitment of native vegetation and altering local fire ecology. The spread of this species appears to be facilitated by its ability to reproduce via intragametophytic selfing.